The PW range of light duty Portable Spot Welding guns has been designed to provide a cost effective answer to everyday spot welding requirements. For any component which is large, or has to be assembled in a jig or fixture, it is always easier and more cost effective to use a portable welding gun than a static machine. The time saved by not handling the component will allow good cost justification. The smallest gun in the range, the EMEPI-4, weighs only 11.5kg and is one of the lightest air operated guns available anywhere. Like all the guns, it has a retract cylinder, and a watercooled transformer and electrode arms, making it a very capable production tool. The larger guns in the range, which goes up to 23kVA, can be provided with electrode arms of up to 800mm reach and the 15 and 23kVA units have a choice of arm centres, allowing use of longer electrode holders and tips for access to deeper components. All guns have adjustable electrode arms. All guns have 360° gimbal, allowing rotation of the gun in any plane. A range of standard electrode arms is shown here. This is only a small part of the wide range of special arms which is available to order: Contact your distributor or PW sales engineers to discuss your requirements. 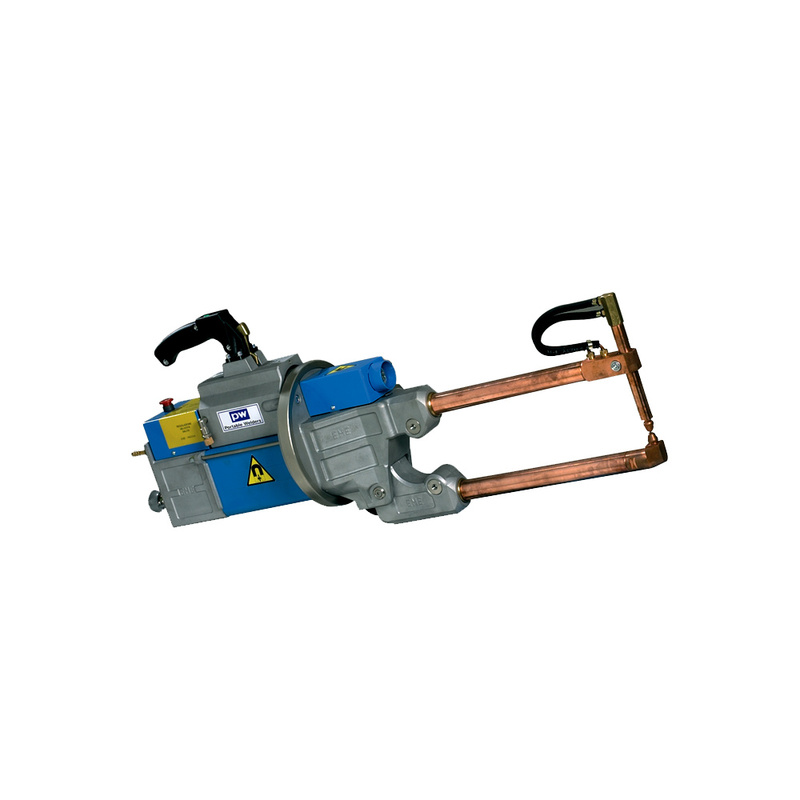 The Light Duty Guns can be used with either of the PW standard spot welding controls. Both are Microprocessor based units, offering facilities like dual programme and pulsation – necessary for welding in these quality conscious times.